During the 99 Days of Summer Sales Event at Balise Volkswagen in West Warwick, you could get behind the wheel of a brand-new Volkswagen Passat, Jetta, Tiguan, Golf GTI, or Golf Sportwagen for a lot less than you might think. And with hot summer deals heating up more and more every day–even while the first cold nights are starting to roll in in Rhode Island–you still have time to take advantage of Volkswagen lease deals, exclusive financing offers, and special incentives on new VW cars in stock. Act now before these sizzling sales disappear. 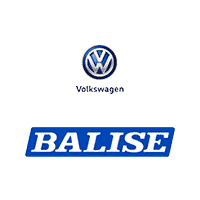 How does Balise Volkswagen help you save? Along with our normal everyday competitive prices, we’ve expanded our availability of deals and sales offers like never before to help you make the most of your remaining days of summertime. Find lease deals on new VW cars for as low as $69/mo! That is less than seventy dollars per month to drive a stunning, well-equipped, and fun new Volkswagen. Or, see if you qualify for 0% financing on one of our summer sales vehicles, and pay no interest–zero–for up to six years. That’s a savings of a few thousand dollars. For drivers in West Warwick and East Providence who are ready to make the leap into ownership, ask the Balise Volkswagen staff about our “Buy Now Price”–the best possible price we can give to a new VW, so you won’t have to spend precious time haggling. Explore deals during the last few days of the Balise 99 Days of Summer Sales Event to make sure that you get the car you want at a price you won’t believe.